3-year-old, 30 lb. Boston Terrier mix, Veronica, is a combination of terrier enthusiasm and Bulldog gentle sweetness and good sense. She has a sly sense of humor and loves to clown around. 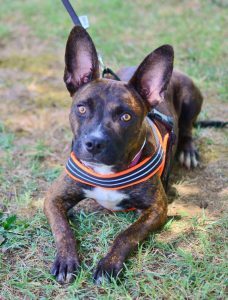 She is smart, enjoys plenty of attention and loves to be with people, especially if that means sitting on a lap or sharing a bed or sofa. She’s definitely a cuddler and a snuggler. Veronica can entertain herself, especially if she has a favorite toy or two, but she’d much rather be doing something with her family. Slender, sleek, and silly are these satin black twin sisters. 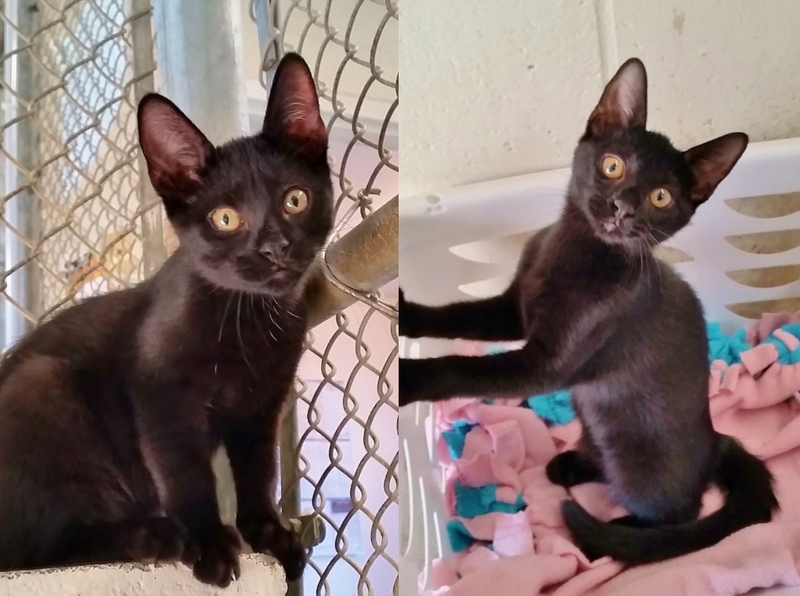 Gladys and Petunia were born in foster care and, now at 3-months-old, are more than ready to be adopted. These girls are fun with a capital “F” and, like human siblings, will flip-flop from playing to arguing for no evident reason. Adopting these two entertaining girls would bring lots of life and love to a home and figuring out which is which could be a fun family game.